As a client of SurveyMonkey, a survey that you have made can be sent out as a link in your email campaigns you send to your opt-in lists of contacts in your benchmarkemail account. This enhances your engagement with your clients you send your emails to by being interactive and getting feedback on polls, questions or anything you created a survey for. Log into your survey monkey account and create a survey. Log into your benchmark email account and select to create an email, then select the Drag and Drop Editor. 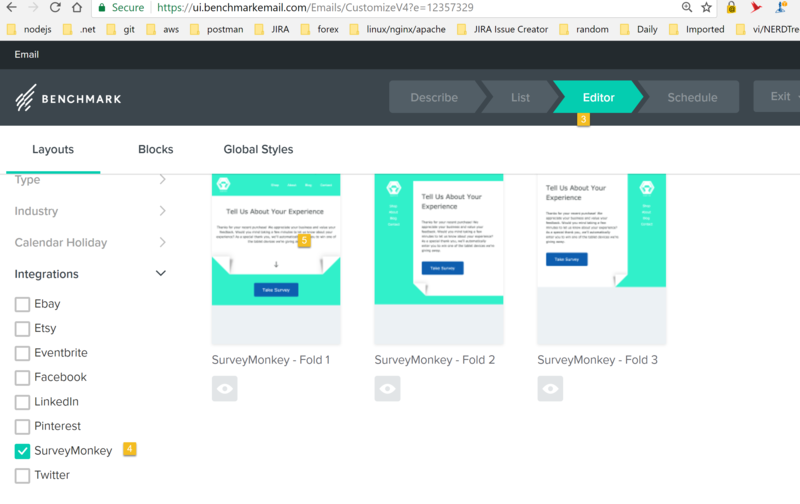 You'll then see 3 SurveyMonkey templates to choose from. (Optional, if not already connected) Click the connect button and a SurveyMonkey authorization screen will ask if you give permission to connect your SurveyMonkey account to your benchmarkemail account. Giving permission allows you to select one of your pre-made surveys and a survey link to send in your email campaign. After allowing access you can select from your list of surveys you previously created along with the email template you chose. You can then proceed to create your email campaign. When ready, you can send your email campaign out to your client list(s) for them to recieve the link to you SurveyMonkey survey. 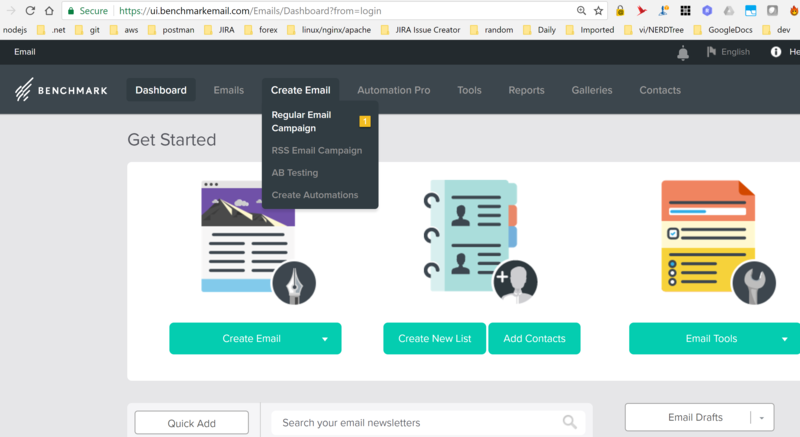 pro-tip - You can also use the campaign you created in our Automation Pro feature, which allows you to set up an automated email journey. Simply go through the above steps, then save the email as a draft, then create your automation in our Automation Pro and when you create your email, in the editor, select 'past emails' to find your email that has your surveymonky link in it. Basic free accounts allow the Survey Monkey integration use and allows clients to send email campaigns to up to 2,000 of your subscribers for $0 per month.